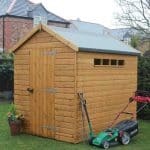 This is an extremely generous sized shed without any windows so you do get extra security. 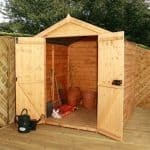 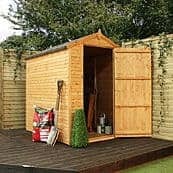 The shed has a smart, Apex style roof and large double doors enabling easy transportation of all your garden equipment. 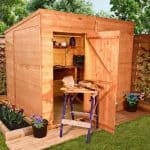 Inside there is ample space for garden equipment, garden toys and furniture where everything will stay clean and dry! 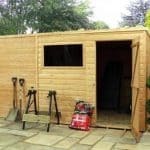 This shed is constructed out of 12mm Shiplap cladding and is weather resistant. 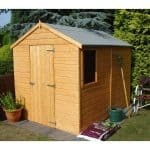 It also comes with a 10 year anti-rot guarantee so it will last a long time. 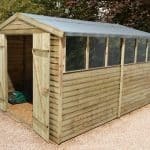 For your convenience this is delivered to home.